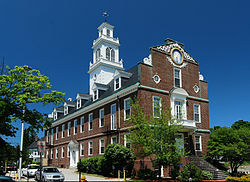 Weymouth, Massachusetts was founded in 1622 as the Wessagusset colony and was renamed as Weymouth in 1635. The town was a fishing and agricultural community for almost 200 years. In the 19th century, it was a shoe manufacturing hub. Today, the town is primarily residential and offers easy access to Cape Cod, Boston, and three MBTA commuter rail stations. The town is home to a variety of restaurants, retail stores, and shopping centers. There is also a two-mile medical district and many world-class medical providers the area. The town consists of four villages: East Weymouth, North Weymouth, South Weymouth, and Weymouth Landing. The village centers offer a mix of local stores. Weymouth has many parks, playgrounds, and recreation areas. Popular areas include Great Esker Park, Pond Meadow Park, Webb Memorial State Park, Legion Memorial Field, and George Lane Beach. There are plenty of places to walk, hike, fish, picnic, and canoe. Many families are attracted to Weymouth because of the good schools, quality health care, and variety of housing options. Listed by Matthew Langlois, Redfin Corp. Listed by Ellen Douglass, Jack Conway & Co, Inc. Listed by William McGowan, Lamacchia Realty, Inc.